CR: I always loved movies and wanted to be a part of the magical world of cinema. CR: This was one of the first short films I made at Colorado Film School. This is the second showing that we have had and I am happy to be able to show off my lead actors! CR: I am currently working on my next short film that starts production in a couple of weeks. CR: I edit and score my own movies. I would love to branch out and contribute to other people’s films. CR: I am very fortunate to have the opportunity to show my film at the EFPalooza! I am looking forward to meeting everyone there and networking with some talented people. 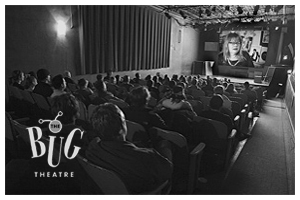 Drown With Me will screen Saturday, February 23rd at 3:00 p.m. at The Bug Theatre as part of the Dramatic Shorts block during the 2019 EFPalooza Film Festival.